The Joensuu Tourist Office is located in Carelicum. Tel. (013) 248 5319. We have gathered here some tips about places and activities that you might be interested in visiting or seeing when you have some free time in Joensuu. You can find updated information in FB groups, and in the local newspapers Karjalainen and Karjalan Heili. The Community College of Joensuu Area offers a wide selection of courses ranging from philosophy to car repairing; courses are open to everyone, regardless of a person’s previous education. Registration fees are usually from 20 to 100 euros. Finnish for Foreigners courses are also offered. For detailed programmes, please contact the Adult Education Centre office. Contains about 900 species of plants from 113 countries all over the world. The collection of greenhouses (570 m2) imitate five climatic regions: tropical, sub-tropical summer-rain, sub-tropical winter-rain, temperate and desert areas. There is also a small greenhouse (180 m2) for propagation and research purposes, two small plastic greenhouses for summer use only and in summer, visitors may stroll through the outside garden. The Tropical Butterfly Garden is open for visitors from April to September. Also available for visitors are Café Botania and Boutique Botania. Foreign films are shown in the original language with Finnish and Swedish subtitles. Tickets cost approximately 8,50-9,00 euros. Films usually run one to three weeks. The rock and pop scene in Joensuu is very active. A popular rock festival called Ilosaarirock is arranged every year in mid July drawing tens of thou sands of young people into the city (www.ilosaarirock.fi). At other times there are several live performances weekly. Please follow the advertisements and bulletin boards. at Carelia Hall one hour before the concert. Town Hall, Rantakatu 20, information and tickets at Carelicum, tel. (013) 267 5222 or at the Town Hall one hour before the performance, tel. (013) 267 5295. Jokikatu 8, Information about performances is in the University of Joensuu student newspaper Ylioppilaslehti. The City Library has books in several languages, music, videos, magazines, international newspapers and a café. The library also has material for studying the Finnish language. Library cards can be obtained from the main desk. The Branch Libraries are located in Rantakylä/ Pataluodonkatu 2, Niinivaara/ Suvikatu 16 and Karsikko/Kettuvaarantie 28. An Internet cafe, a meeting place, bikes for rent. Greek and Roman art, and Orthodox icons from the monastery of Megri. A fresh view of North Karelian and other Finnish art in exhibitions of photographic art, paintings and handicrafts. – both sides of the border” takes a look at the region of Karelia in its historical and cultural entity. Please ask at the Tourist Information Desk in Carelicum for information on the smaller art galleries! There are several pubs, restaurants, pizzerias and cafés in Joensuu. The opening hours vary, but usually the cafeterias are open at 8-18, but restaurants stay open till later in the evening. Most pubs open around 13 and close around 02. Nightclubs open at 22 and close at 04. Help and information is available for students from different religious backgrounds. Student minister can be reached by mobile telephone or e-mail. The Joensuu Lutheran Student Parish offers various activities. During semesters the main gatherings are at Kirkkokatu 28. Discussion topics vary from religious matters to relationships. The Orthodox Church of Saint Nikolaos, at the north end of Kirkkokatu street, Saturday Vigilia at 6 p.m., Sunday Liturgy at 10 a.m.
Tel. 0500 848 073, Veli-Jaakko Franzi. Free Church, Kalevankatu 36, interpretation into English on Family Service on Sundays. Pentecostal Church, Niinivaarantie 26; translation into English during every Sunday morning Service at 11 a.m. Please ask from Student Union Poka about Sykettä sport activities at the university. Persons 18 years of age and over must pay a fishing management fee (kalastuksenhoitomaksu in Finnish) and a local fishing license (kalastuslupa) which can be purchased at post offices. Fishing licenses for the rapids of the River Pielisjoki are available at the Joensuu Tourist Office, Carelicum and Hotel Kimmel, Itäranta 1. However, no fishing licenses are needed for ice fishing or angling. A monthly membership card for a gym costs around 40-70 euros. Linnunlahdentie 10, tel. (013) 126 558 Bowling, tennis, squash, badminton, indoor climbing, table tennis, minigolf, billiards, and golf simulator. Vesikko, Uimarintie 1(opposite the Carelia Hall building of the University of Joensuu), also a gym available. Joensuun Jääkarhut (Joensuu Polar Bears Ice-Swimming Club). Swimming and sauna for non-members by a single payment. The 5€ wristband can be bought at the club or at the nearby kiosk which is open from 10 am to 8 pm. For location and opening hours see www.joensuunjaakarhut.fi or contact Mr. Jukka Vuorinen tel. 045 784 51990. 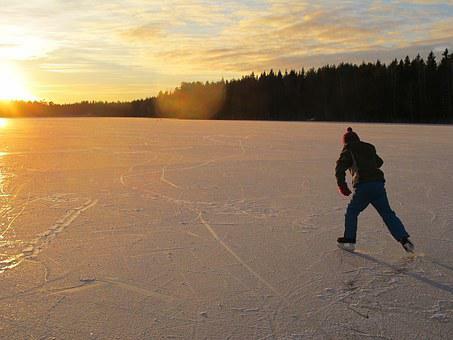 There are excellent opportunities for skiing and skating in Joensuu. You can find skating rinks around the town in wintertime. Skates can be purchased at sports shops, department stores or flea markets. Alternatively, you can borrow a pair of skates from a fellow Finnish student. y equipment for downhill skiing. Equipment for cross-country skiing is rented at Koli. If you want to try skiing in Joensuu, please ask the Student Unions. There might also be second-hand skies for sale at the flea markets.